Crafting your way into summer. From my vantage point, we're headed into summer. That means focusing on anything tech becomes more difficult when it's so nice to be outdoors. Never fear. 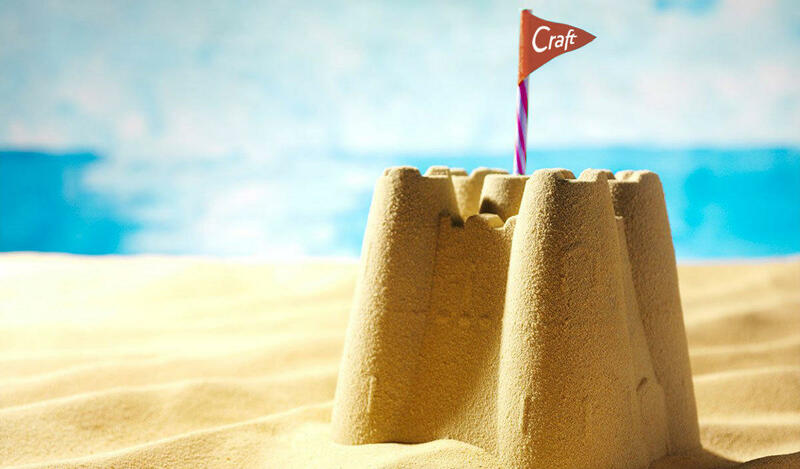 We've got your Craft-inspired beach-reading, Craft updates, coding tips, plugins and more. Sifter is the issue tracker you'll actually use. Check it out here. Solspace is back with another great sale of one of their plugins. Buy the powerful Solspace Calendar while it's briefly on sale. Enough talk. Let's hit the beach... I mean, the links. Craft 2.6.2984 and 2.6.2985 have come out since the previous issue. Get to updating. The reason for no Reasons in Craft 3. Ryan Masuga has published an ebook with lots of Craft CMS know-how between the virtual covers. He's offering Craft List List readers a 15% discount until July 15 too. Just say the secret word. No, not "swordfish"... "craftlinklist". Ben Croker, creator of the Sherlock plugin, talks security in Craft. The specific issue he addresses was fixed but it's good to know these things. Add PHP support to Microsoft Visual Studio. Get the best of both worlds with static HTML generator performance on the frontend, and a content editor friendly db-based backend. Interested in Craft (of course!) and Webpack (yes! ), Start your reading. The default install of Redactor II, the rich-text field for Craft, doesn't have alignment options available by default, but you add them with this plugin. Also check this out Redactor Inline Styles plugin for Craft CMS. How do I enforce stronger password requirements on my Craft site? Calendar is the most powerful event management and calendaring plugin on the market for Craft. The intuitive drag & drop interface and powerful, flexible templating offers up both power and simplicity, giving you a variety of options to satisfy your calendaring needs. Calendar also allows you to create events with complex recurring event rules and exclusions, as well as unlimited calendar groups and layouts. On sale now for only $69! Adds a Cookie Consent popup to Craft. Just click yes and move along. This plugin adds "Activate account" permissions so that non-admins can activate users. The future of the plugin store. Mijingo has posted another helpful lesson Git. Although Mijingo has advertised their Git course on Craft Link List in the past, this isn't an ad, just a link taking you to some great content. Recommended in Slack. I'm reading it now. I thought the only 3 we were waiting on was Craft 3. I was wrong. ZURB - Foundation 6.4 Has Arrived!